See what I did there? That little pun might make more sense once you realize that I’m about to showcase something that I sewed… And now you giving a little chuckle out of pity. I appreciate that. 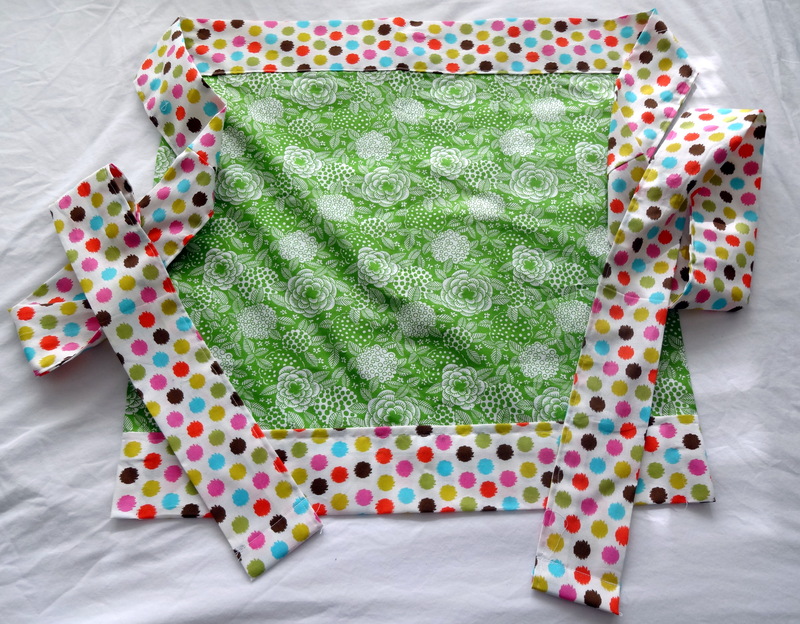 A few weeks ago I decided that it was time to bust out my very own sewing machine! My mother was AWESOME and found it for me at a garage sale in Omaha- it is in great condition, comes with a carrying case, and was (from what I recall) really really cheap. Score! I get out the machine. My mom helps me get it all set up. She shows me how to thread a bobbin, which I then do pretty successfully. Next step, actually put the thread on the machine, put the bobbin in place, and sew! It should be so simple! But it wasn’t. I don’t know what I did to that little machine, but it started FREAKING OUT. Bundles of thread all over my fabric (thankfully a test strip), random bouts of not working, and somehow the little knob on the side kept falling off and rolling onto the floor. It was really pretty pitiful, not to mention frustrating. Thankfully, I am the daughter of the crafting queen, and she let me pop upstairs to her sewing room and use one of her machines! 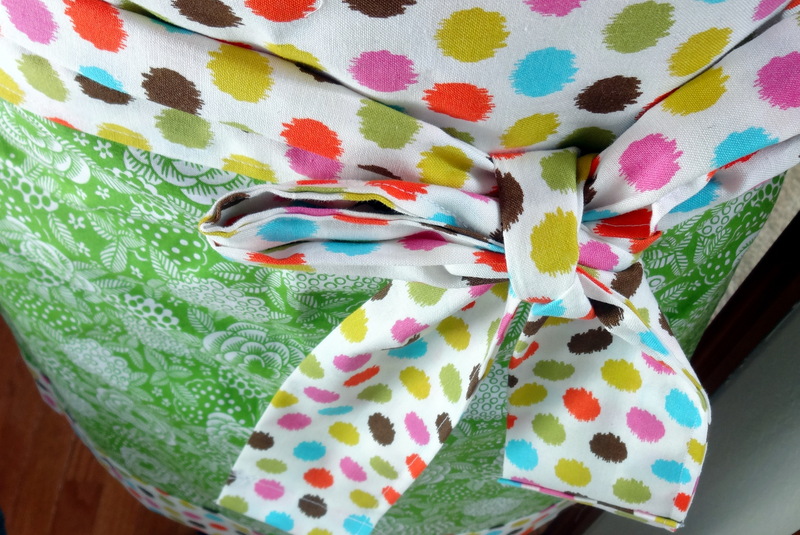 I decided to make… an apron! Super cute, right? I thought so, too! It will be great to use while I am baking in my NEW APARTMENT!! Yes, that’s right, I’ll be moving out on my own pretty soon! I’m getting excited, but I’ll talk about that more later! For now, it’s back to packing! Yay for packing! And this happens to me a lot with my machine… we have a love/ mostly hate relationship.